J.R. McGhee, Mucosal Vaccines: From Molecular and Cellular Concepts of Mucosal Immunity to Practical Application. M.R. Neutra and J.-P. Kraehenbuhl, Antigen Uptake by M Cells for Effective Mucosal Vaccines. C.O. Elson, Cholera Toxin as a Mucosal Adjuvant. J.D. Clements, Unique Characteristics of Escherichia coli Heart-Labile Enterotoxin for Mucosal Immunization. H. Kiyono and C. Czerkinsky, Mucosal Vaccines and Oral Tolerance. R. Curtiss III, Attenuated Salmonella as Vectors for Oral Immunization. J. Ulmer, Current View of DNA Immunization for Mucosal Vaccines. S. Langermann, Recombinant BCG as Vector for Mucosal Immunity. C. Morrow, Recombinant Polio as Mucosal Vector. K. Rosenthal, Recombinant Adenovirus as Vector for Mucosal Immunity. R. Gilley, Current View of Microspheres as Mucosal Antigen Delivery System. M. Tomasi, ISCOMS, Liposomes and Oil Based Delivery Systems. S. Hamada and Y. Kodama, Application of Passive Immunity for Mucosal Vaccination. M.R. Levine and M. Sztein, Human Mucosal Vaccines for Salmonella typhi Infection. A.A. Lindberg and T. Pal, Oral Vaccine for Shigella. J.J. Mekalanos, Live, Attenuated Cholera Vaccine. J.R. Holmgren and A.-M. Svennerholm, Oral Cholera and Enterotoxigenic E. coli Vaccines. P.B. Ernst and S. Czinn, Mucosal Immunity to Helicobacter pylori. P.L. Ogra, Polio Viruses and Mucosal Vaccines. P.F. Wright, Mucosal RSV Vaccines. R.B. Couch, Mucosal Influenza Vaccines. R.B. Belshe, Mucosal Parainfluenza Vaccine. M. Conner, M.K. Estes, H. Greenberg, P. Offit, and H.F. Clark, Development of a Mucosal Rotaviros Vaccine. A.Z. Kapikian, Rotavirus Vaccines--The Clinical Experience. C. Miller and T. Lehner, Rectal and Vaginal Immunization for HIV/SIV. C. Wira, Mucosal Immunity in the Female Reproductive System. C. Svanborg, Mucosal Immunity in the Urinary System. P. Montgomery and J. Whittum-Hudson, Mucosal Immunity in the Ocular System. S. Tamura and T. Kurata, Intranasal Immunization with Influenza Vaccine. R.J. Genco and R.C. Page, Mucosal Immunity for Oral Diseases. D.J. Lim and G. Morg, Mucosal Immunity in the Middle Ear. Subject Index. 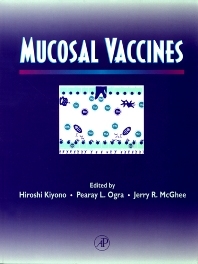 Since the 1970s, Professor Kiyono has been investigating and characterizing unique features of the mucosal immune system to establish mucosal immunology as an area of the immunology field as well as to develop effective and safe mucosal vaccines against infectious diseases and mucosal immune therapies against allergic and inflammatory diseases. He recently developed cold-chain- and needle-free rice-based vaccines (MucoRice) with the cooperation of agricultural researchers. The vaccine antigens exogenously expressed in MucoRice are temperature-stable for at least 2.5 years and are resistant to digestive enzymes, thus they effectively induce vaccine antigen-specific protective immunity in both systemic and mucosal compartments against toxins produced by pathogenic microorganisms (e.g., cholera toxins). Additionally, his efforts aim to clarify the immunological cross-talk between the mucosal immune system and mucosal environmental factors (e.g., commensal bacteria and dietary materials) in immunological homeostasis. These studies will lead to the development of novel immune therapies against mucosal immune diseases, such as food allergy, rhinitis, and inflammatory bowel diseases. University of Texas Medical Branch, Galveston, U.S.A.